The version of the PS4 comes the October 13, PC in 2018. 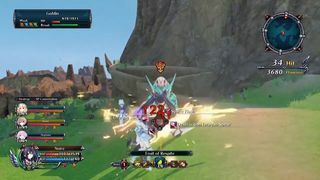 Idea Factory International has shown the second trailer in English of Cyberdimension Neptunia: 4 Goddesses Online, which shows Noire, Vert, and Uni. This new installment starring the CPU and embark the goddesses in a a game that simulates a MMO. Your style will be hack n slash and not the classic role-playing turn-based the main series. don’t lose the customization, so that we will be able to awaken skills, adding accessories, cosmetics and even play online with three users more to eliminate enemies still more dangerous. Be released in physical format and digital distribution on 13 October in Europe -10 in the united States – for the PlayStation 4. The PC version will be at the beginning of 2018. Is it true that the Dragon SpaceX can land anywhere in the solar system?